TARRC exhibited at Tire Technology Expo 2016 and showcased Malaysia's renewable natural rubber based material, EKOPRENATM on stand 4007. EKOPRENATM, a sustainable speciality natural rubber material, produced in Malaysia, used as a replacement for synthetic rubber in tyres. EKOPRENA tyre compounds demonstrate groundbreaking performance in terms of low rolling resistance and high wet grip. To find out more about Ekoprena please contact Dr Stuart Cook, TARRC’s Director of Research, scook@tarrc.co.uk or call +44 (0)1992 584966. 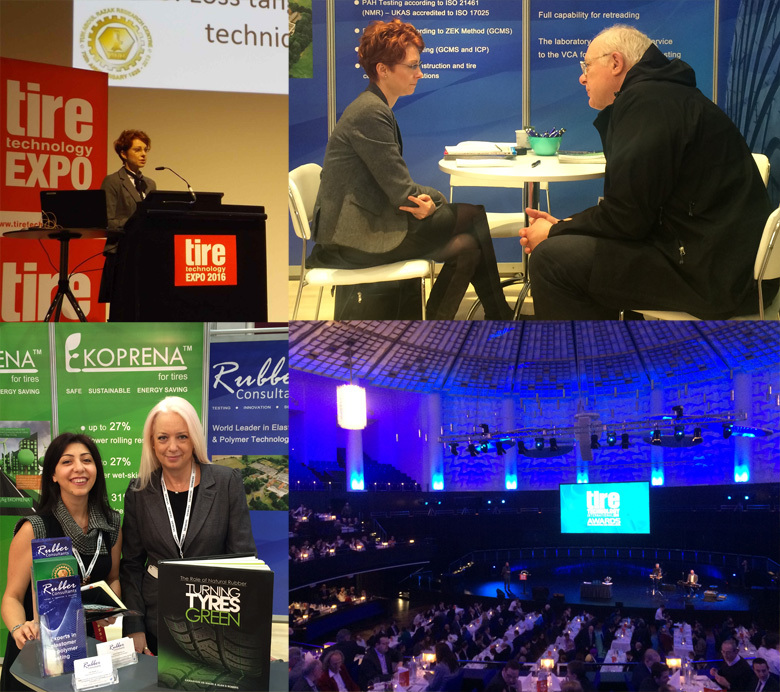 If you wish to find out more information on TTE then take a look at the official exhibition and conference website at www.tiretechnology-expo.com.